1-CD with 20-page booklet, 36 tracks. Playing time approx. 80 mns. Whiskey Is The Devil In Liquid Form, Oh So Many Years (revived by the Everly Brothers), and the Bailes Brothers great enduring classic, Dust On The Bible. The brothers' tragic story is told in Eddie Stubbs' exclusive essay with haunting first-person accounts from all the brothers and those who worked with them. Fans of old-time music, classic hillbilly and bluegrass really need this one! Record label: Columbia, King, Old Homestead, the Loyal Bailes Brothers were from 1939 to 1949 one of the most popular country groups. Roy Acuff had brought in 1942 to the Grand Ole Opry, in 1948 they changed over to the Louisiana Hayride show in Shreveport, 1949 broke the group apart. When the discussion of acts from West Virginia that went on to attain Grand Ole Opry membership comes up, the names that most often come to mind are Little Jimmy Dickens, Hawkshaw Hawkins, Wilma Lee & Stoney Cooper, and most recently Brad Paisley. 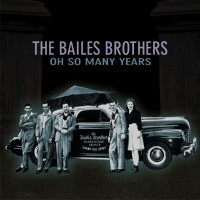 Though often overlooked, the Bailes Brothers, from the Charleston area, were indeed Opry members and in fact were among the show's biggest stars during their two-year tenure on Nashville's WSM. The four Bailes brothers, Kyle (born May 7, 1915), Johnnie (June 24, 1918), Walter (January 17, 1920), and Homer (May 8, 1922), came from very humble beginnings and were raised in an area known as Dogtown, later called North Charleston before being incorporated into Charleston. Homer recalled, "We moved around a lot and lived wherever the rent was the cheapest." Their father, Homer Abraham Bailes, was a carpenter, teacher, and a Baptist preacher, who died in 1925, and the boys were raised by their mother, Nannie Ellen. Affectionately referred to by those who knew her as Mom Bailes, she did domestic work to help support the family. Years later she would be immortalized in a biographical song Give Mother My Crown, written by Walter in 1946, and popularized by Lester Flatt & Earl Scruggs. The brothers began playing and singing at a young age and Kyle, Johnnie, and Walter started professionally with Uncle Jim Groves (no relation) in 1937 on WCHS in Charleston. Johnnie and Walter would go on to lead separate groups working at numerous stations before teaming up in 1940 at WJLS in Beckley, West Virginia. Also in the group at the time were two individuals who would later go on achieve great fame in country music, Molly O'Day then known as Dixie Lee, and Little Jimmy Dickens. Johnnie and Walter came to WSAZ in Huntington, West Virginia in 1942. It was here that they began to hit their stride. Former Opry star Fiddlin' Arthur Smith joined their group, adding to their popularity. The songs, many of which were original, were performed on radio and in person at appearances within the station's coverage area. They sang with heartfelt conviction in a full-volume, open-throat fashion that audiences up to that time weren't used to hearing. 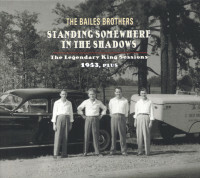 In 1943, the Bailes Brothers met the man who would change their career. Johnnie remembers, "Roy Acuff came to Huntington. His booking agent, Oscar Davis, came in and hired us to work the show (at the Armory) with Roy when he came to town. Of course they got a lot of publicity that way. When Roy came to town, he was on our program and then we went down and helped him do the show. Some time during the night, I don't know just when, Roy told me that he thought we were Grand Ole Opry material, which pleased me to no end. We talked on, and he asked if we would be interested in coming down for an audition. Of course we told him we were, and we came down at his suggestion." Walter continued the story: "Roy took us in one of the dressing rooms over at the Ryman and had Judge George D. Hay come in there and told him he wanted him to hear us. So, George listened to us, like only he could, you know. After we finished, he said, 'That's fine boys. Now I want you to leave me your name and address,' and Roy said, 'No, Judge. This is not one of them cases. I want Harry Stone,' who was manager at the time, 'to hear these boys Monday morning at 9 o'clock.' So Monday morning, Roy and the Judge, and Harry, were in Harry's office, and we were in Studio A at WSM piping it in to them, and they gave us the job. We were doing quite well when Acuff found us because we were kind of what you'd call the wheel in a little area instead of a little spoke in the big wheel. We were doing real well. But before that, we've seen times we had to do without, and (were) too proud to tell anybody." The Bailes Brothers obviously had a passion for what they did. Johnnie recalled, "Back then we sung because we loved country music! Of course, we wanted to make money, too, but I think you should love it. I think you should love it enough that you'd do it for nothing!" They made the move to Nashville along with two band members, fiddler Del Heck and bass player Evelyn Thomas, most often referred to as Little Evy, or Evy Lou. Evy had earlier appeared with her sister as Dot & Evy, a vocal duet on WSAZ. Johnnie and Walter hadn't been in town more than a couple of weeks when they ran into Ernest Ferguson, a wonderful mandolin player they'd met in Charleston when he was working with Johnnie Wright & the Tennessee Hillbillies. Ernest recalls his employment starting with the Bailes Brothers in September 1944. He kicked off the first song the group played on their Opry debut, Dust On The Bible. Ferguson's very melodic playing, utilizing harmony played in tandem with the melody notes, became the instrumental trademark of the early Bailes Brothers sound, and found favor with fellow mandolin player Ira Louvin of the Louvin Brothers. "Ira," said younger brother, Charlie, "liked that guy's playing a lot." Opry membership wasn't attained immediately. 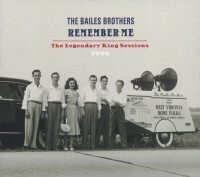 The Bailes actually started with WSM doing daily fifteen-minute early morning shows. Walter recalled that they were the first act on WSM to do the Martha White Flour show, made famous years later by Flatt & Scruggs. This allowed them to plug their show dates. Their popularity grew fast. They signed with Acuff-Rose Publications, and Acuff and his partner, Fred Rose, were instrumental in obtaining an audition with Columbia Records' A&R manager Art Satherley at Rose's Nashville home. Rose, of course, was there, and so was Acuff. Ernest Ferguson remembers, "We went in the living room and did maybe a half-dozen numbers. He listened, and he signed them up right there." 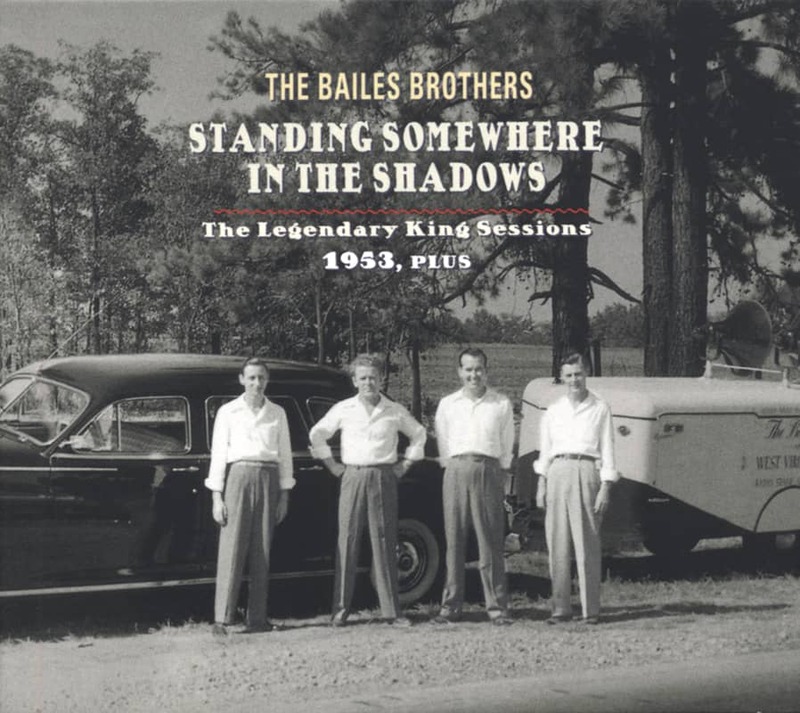 Very few recordings were made in Nashville back then, so the Bailes Brothers drove north for their first session, held at Chicago's Wrigley Building on February 17, 1945. However, fifty-one weeks would pass before their first record was released. Their recordings will be discussed later in the text. 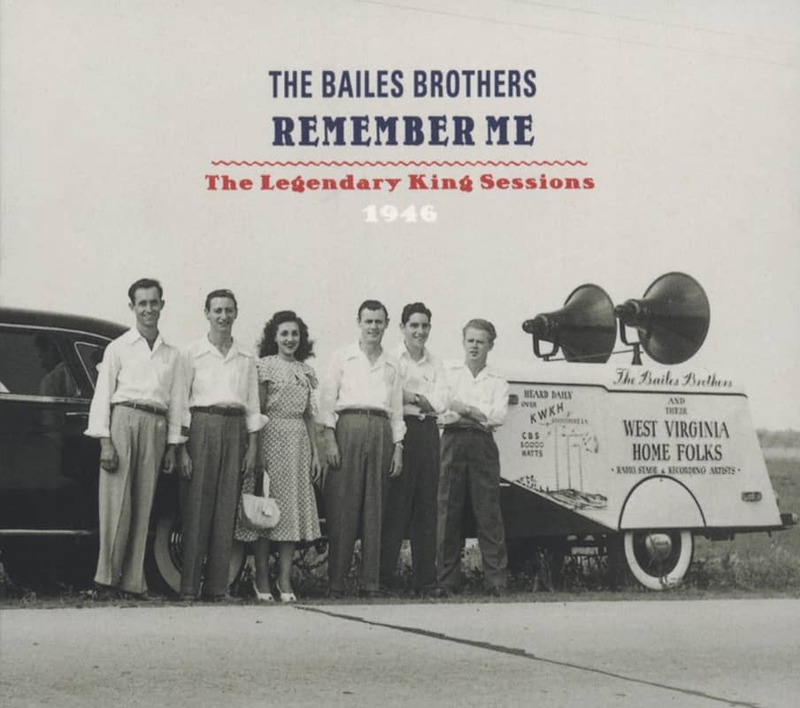 Calling themselves 'The Bailes Brothers and the West Virginia Home Folks,' the brothers published their first song folio in the Spring of 1945 and plugged it on their early morning radio shows. They also bought a fifteen-minute time slot on Saturday evenings just prior to the Opry to plug their songbooks as well. The price was just 50 cents, and the group sold a phenomenal 175,000 songbooks via WSM in six months! They hold the record for selling the most product in the shortest time. The songbooks could also be purchased at the Bailes Brothers' personal appearances, which were mostly in Tennessee, Kentucky, Alabama, and Mississippi at school auditoriums and sometimes at theaters and court houses. Proceeds were usually split 60/40 or 70/30 with the brothers getting the larger portion. Johnnie and Walter were packing them in everywhere they played, but they couldn't go too far afield because they had to drive back to WSM for their early morning programs at various times between 5 and 6am. Many times this would involve an all-night drive, arriving in Nashville just barely in time to make the broadcast. It was a grueling pace, often working five and six nights per week. There were occasions where they'd take a week off from the early morning shows to work in Virginia, West Virginia, the Carolinas, Georgia and Florida, but they always came back to Nashville to work the Opry on Saturday nights. Customer evaluation for "Oh So Many Years"